No matter who you are, who hasn’t contemplated using an online dating website or app? Tinder is, without a doubt, one of the most popular dating app in the whole world. It was reported in 2014 that Tinder had more than 1 billion swipes per day! Initially advertised as, “chance to meet people you wouldn’t normally meet”, Tinder has rapidly changed the whole structure of the dating world. However, there is an increasing number of people who would rather not have their whole dating life broadcasted across Facebook, which is understandable. You do not want your mother, or your whole workplace colleagues to know that you are using Tinder, right? So, is there a way to login to Tinder without using any Facebook account? Well, the answer is Yes! While there are a ton of websites online that claim that it is possible to use Tinder without a Facebook account, there is only ONE TRUE WAY to use Tinder without a Facebook account. Yet, not many know that there is a hidden answer to the privacy issue of using your Facebook account to access Tinder. Want to know more? Continue reading to find out how to access Tinder without a Facebook account and how to use Facebook account to access Tinder without shoving your privacy down the drain. Tinder was founded by Sean Rad, Jonathan Badeen, Justin Mateen, Joe Munoz, Dinesh Moorjani, and Whitney Wolfe. Whitney Wolfe left Tinder and started her Bumble, which is another popular dating app. The core idea behind the app is the idea that no matter who you are, you feel more comfortable approaching somebody if you know that they want you to approach them as well. Within the app, you are shown a tinder card with pictures of another tinder user. You will be able to view a short bio and check the other person’s photos. Now, you can either show interest in the other person by liking their tinder profile or express disinterest. 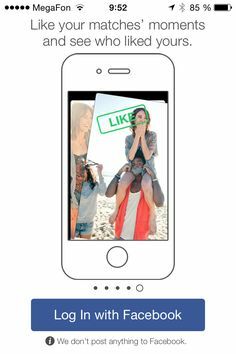 This ‘like’ is expressed by swiping right on the person’s photo while swiping left signifies your disinterest. As long as two individuals mutually ‘like’ each other, then they are considered a match and are able to chat within the app. This swiping feature has been pioneered by Tinder, and is currently used across a cast variety of applications and devices. So, this is how Tinder basically functions. WHY DOES TINDER WANT TO USE YOUR FACEBOOK ACCOUNT? Having understood the functioning of Tinder, you might then question, “Why does Tinder want to use my Facebook account?”. Well, there is a reason behind why you need to use your Facebook account to login to Tinder. If you use Facebook to access Tinder, the app is then able to build your user profile with photos that you have already uploaded on Facebook. Further more, Tinder uses your basic infos such as your age, geographical location, number of mutual friends and common interest to create your social graph. Using the above mentioned informations, Tinder is then able to match you with potential candidates rather than just random candidates who live thousands of miles away. The other reason why Tinder uses your Facebook account to sign up is to reduce the number of scammers and cat-fishers. Forcing everyone to use their real Facebook account additionally, makes it easier to find out the real people from the fake profiles in Tinder. SO, WHY IS USING TINDER WITHOUT FACEBOOK AN OPTION? Even before the issues of Cambridge Analytica, there have been users who have expressed concerns for their digital security. There are somethings in life that should be private. 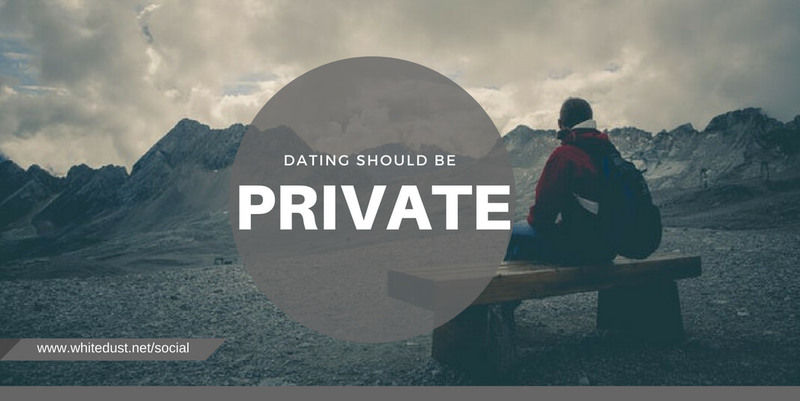 Dating is a personal choice and as such, no-one wants their dating life to be open to the public. However, linking your Facebook account with Tinder does exactly that! Tinder grabs your buddy list, your profile pictures and other personal informations via Facebook, and these informations are made public. If you are a digital security conscious, you will not want these informations to be public and as a result, this is the primary reason why most want to unlink their Tinder accounts from their Facebook account. Another reason why you might want to unlink your Tinder and Facebook account is the fact that Tinder automatically picks up the photos that you have shared on Facebook. Your photos might be private or not, you might not want this photo to be picked up by Tinder or not, Tinder doesn’t care and just picks up all newly added pictures. This lack of freedom is one other reason why most want to unlink their Tinder account from their Facebook account. Facebook is primarily known to be a social site. This means, you will have childhood pictures or jokes (even inappropriate ones) uploaded. Well, again with Tinder you don’t have privacy to these. All will be available to be viewed on your tinder profile. The most pressing matter that requires your attention when you link your Facebook account with Tinder is the fact that you have no control on who are able to view your Tinder profile. Additionally, these unknown people will be able to view your pictures and who knows what they might do with your pictures. This is the biggest reason to unlink your Tinder account from your Facebook account. As of now, there is only ONE TRUE WAY to use Tinder without linking your Facebook account. That is to sign up for Tinder with your phone number. You will need to verify your phone number with an OTP and manually input all required information and picture. You will be able to access Tinder without using your Facebook account. So, there you go. You have the answer to how to use Tinder without a Facebook Account. However, note that you will have to verify your Tinder account with an SMS OTP every time you login. If you are looking for alternative ways to use Tinder such that your Facebook account is used but the data that is shared with Tinder is limited, then there are some simple tips and hacks to accomplish that. One of ways to have Tinder use your Facebook account without having it blast your dating life to all your Facebook friends is to create a clone account. Remember that this account, will NOT be a FAKE account. The account that is created will simply be a clone of your account. This helps separate your Tinder life with your real Facebook life. You will find it easier to distinguish the notifications between the two accounts. 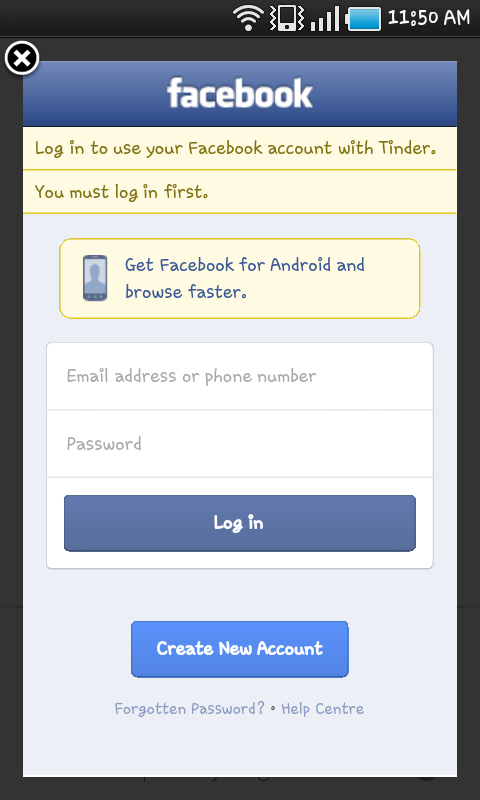 To create a clone Facebook account, follow the steps mentioned below. a. First of all, open the Facebook app and create a new Facebook account. b. Fill all your personal information which you want to show on your Tinder account. c. Go to the tinder app and then click on setting gear which is on the left side of your screen and then log out from your previous Tinder account. d. After logging out, now login to the Tinder app with your new Facebook Clone account. e. Finally, you have your own Tinder Profile that has access to only the information that you have deemed to be acceptable. This way, you have control over the personal data that you want public via Tinder and the personal data that you do not want Tinder to have access to. Another way to use your Facebook account to login to Tinder, yet not have all your personal information to be made public knowledge is to increase the privacy level of your Facebook account. This way, undesirable Tinder users will not have access to your personal informations and photos. Here are some easy steps so that you can easily increase your privacy level. a. First of all, open your Facebook account either from your PC or smartphone. b. Now click on the lock icon which includes the three vertical lines on the right corner of the screen. c. Then click on SEE MORE SETTINGS and then click on apps. 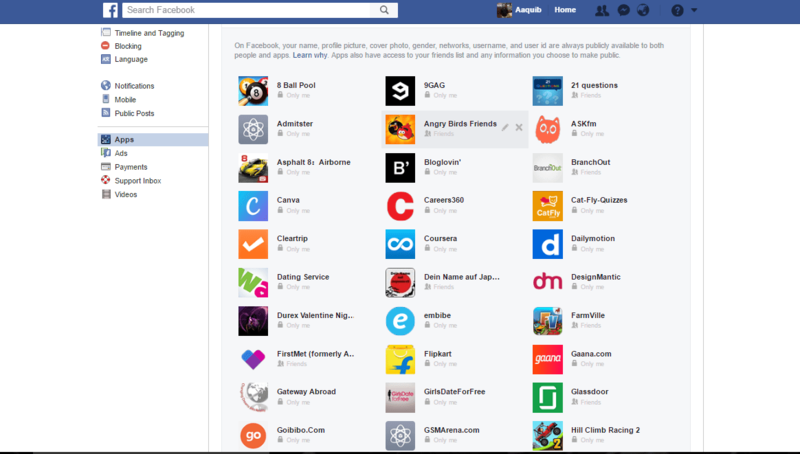 This will show all apps that are currently linked with your Facebook account. d. Now, find Tinder from the listed applications. 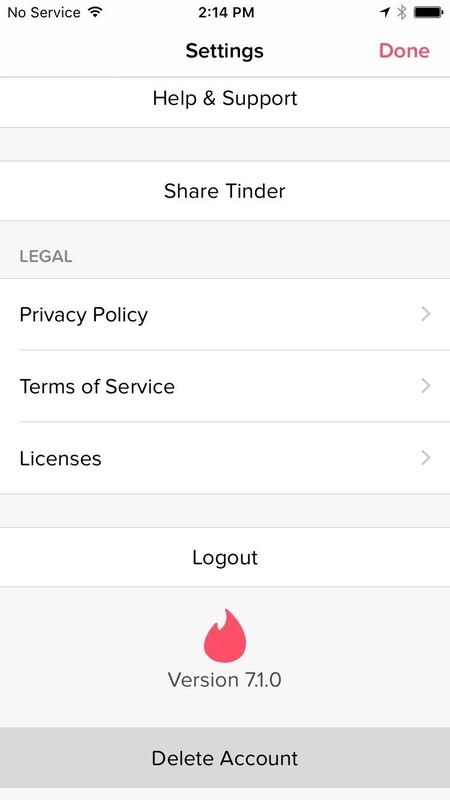 Upon clicking the edit icon, you will be able to change the visibility settings for Tinder. e. Change the visibility from public to private (ONLY ME) and you are done. Simple as that! After following the steps mentioned above, Tinder is no longer able to make your dating life public knowledge. So go and enjoy your private Date. Also, read: AndroDumpper- Why & How to get? There is no doubt that with the 21st century and the digitization of everything, maintaining your digital security becomes a necessity for all. However, there is still a huge gap in the general knowledge of the masses regarding Digital Privacy and Security. I do not have to expedite on the different issues that Facebook has recently come under due to their overall lack in security. There have been campaigns going on to “DELETE FACEBOOK”, and finally, the recent changes in the digital law across Europe only shows how vulnerable we truly are. So, read the following instructions on how to improve your overall privacy and security settings for your Facebook account. The first thing you want to do is go to this link Facebook Privacy Settings and Tools and change all your settings to the ones shown below. Take special not of the setting highlighted in the green box. This disables search engines from linking your Facebook profile. Now, go to your Facebook profile and click on your friends. Open privacy settings by clicking the Manage button. Now, change the people who can see your friends list and the people you follow to “Only Me” or just your “Friends”. This ensures that no random strangers has access to your friends list. The last thing you want to do is open your Facebook and go to the settings and locate APPS. Where you can change the privacy of the Tinder app to “Only Me” so no one in your friend list can know if you are using it. If you are still confused about whether you can use Tinder without a Facebook account, the answer is YES & NO. Yes, because you can actually create a Tinder profile using your mobile phone no. No, because, even though, you are using your mobile phone no. to create a Tinder profile, the overall concept of linking accounts will still be the same. Instead of a Facebook account, you will be using your cell phone number. 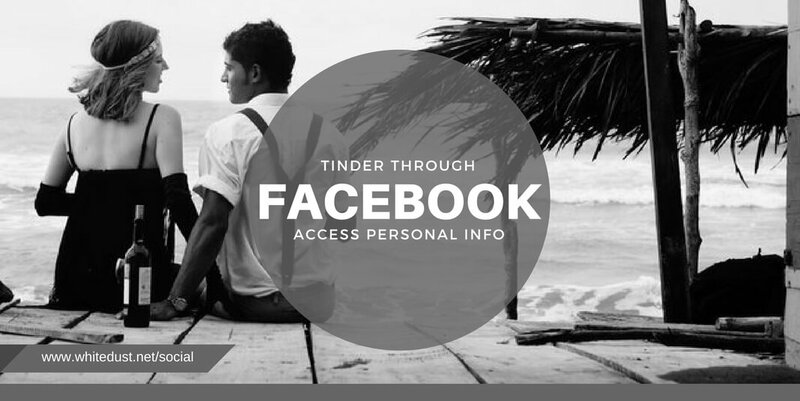 Additionally, we have also shared various tips and tricks that you can use to link your Facebook account with your Tinder profile such that the amount of personal data that Tinder has access to is severely limited. You can further, create a Facebook Clone account and use it exclusively for your Tinder profile. This separates the two different apps and prevents cross-over of personal data. 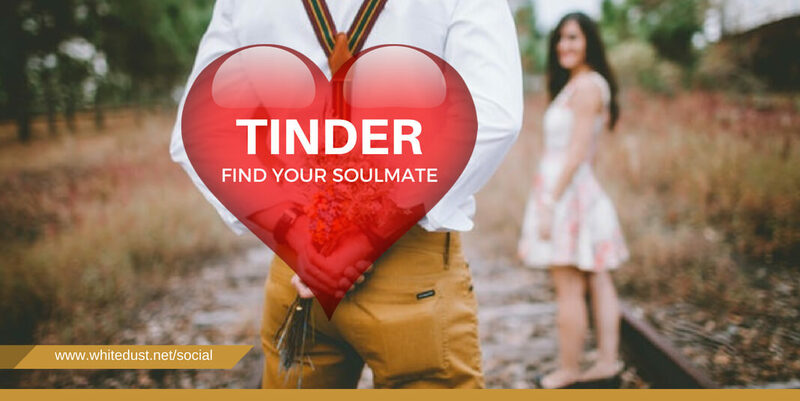 If you are unsatisfied with how Tinder works, or would like to try alternatives to Tinder, you can try out other dating website and apps such as Bumble or OkCupid. Q1. WHAT DOES THE TINDER APP’S ICON REPRESENT? Well, if you have used Tinder, you will notice that there are two interesting Logo/Icons. Firstly, the flame logo of Tinder as well as the word Tinder itself represents starting a fire. This can be interpreted as starting a spark of attraction between two prospective lovers. This is basically what Tinder accomplishes and is, without a doubt, one of the most apt logo for the app. Secondly, you might have noticed a book icon in Tinder. As mentioned above, Tinder uses Facebook to access pages that you have liked. Tinder uses this information to find compatible matches and when you click the book icon; you will be able to see the common interest and likes that both of you have given. Q2. WHAT ARE SOME OF THE BEST DATING APPS APART FROM TINDER? One of the fact that the Internet has enabled is the thousands upon thousands of choices that we have. While this may be considered a boon (as you have the option to choose the best choice) or a curse (too much choice makes us unable to choose), the same can be applied to Dating apps. There are a ton of different dating apps. The ones we recommend: OKCUPID; COFFEE MEETS BAGEL, HINGE, GRINDR, and MATCH.COM. Q3. HOW TO GET A GIRLFRIEND ON TINDER? There is no shortcut or secret potion that helps you find your dream girlfriend on Tinder. The basic advice that we give is to make sure that your Tinder profile paves the way for a great relationship by putting informations that you believe your dream girlfriend would be interested in. You can further, link your Facebook account with your Tinder profile, however beware of scammers and cat-fishers. Make sure that the photo that you upload on your Tinder profile is your best photo. Put in a high quality picture that is decent and has the WOW factor.